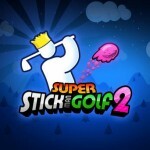 Fans of the insanely fun Super Stickman Golf 2 should circle this Thursday, Jan. 9 on their calendars. After teasing the huge update last month, developer Noodlecake Studios has detailed all of the improvements coming to the game. The large majority of the additions focus on improving the already robust multiplayer capability. Probably the nicest addition is turned-based chat so players can taunt their opponents after hitting that impossible shot. Wagering is also coming to the turned-based multiplayer portion of the game so golfers can place friendly bets on their skills. 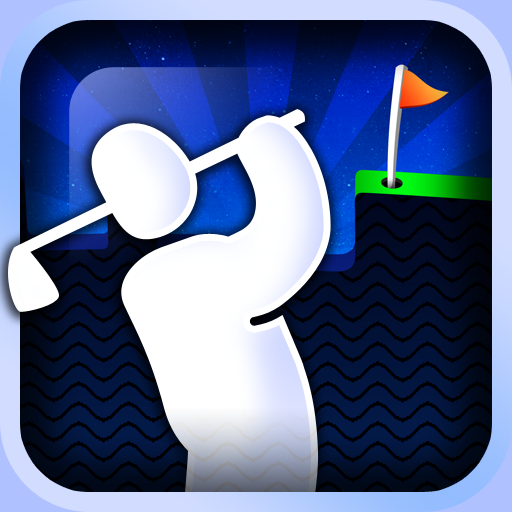 Players can also take advantage of four new courses. Along with the already publicized Super Meat Boy themed course, golfers can battle through Gears Land, Implausible Land, and Space Land. And as the name suggests, the pictured Space Land course throws gravity from the back of the golf cart offering a totally new experience. Finally, gamers can also spend in-game cash to change their ball trails. Released last March, our own Christine Chan called the sequel well done and addictive in her original review. 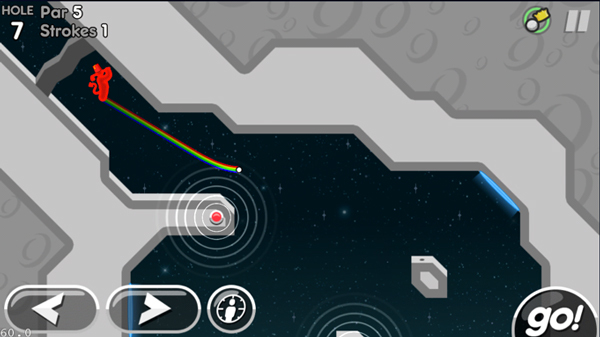 It also took home Honorable Mention in our AppAdvice Game of the Week contest soon after its release. 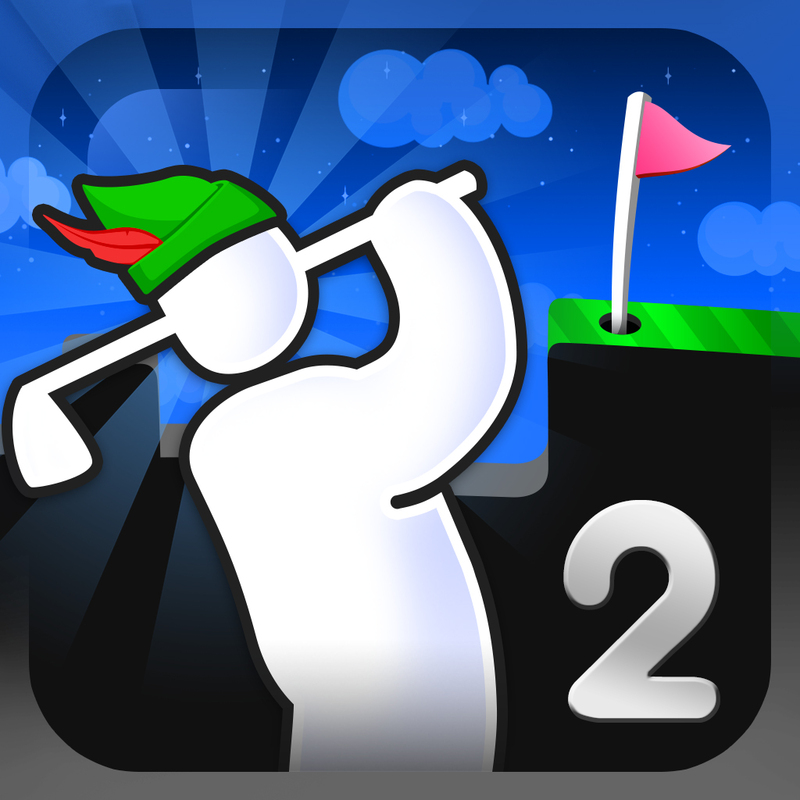 If you absolutely, positively can’t wait until Thursday, you can download Super Stickman Golf 2 from the App Store now for $2.99. It’s a universal app for both the iPhone/iPod touch and iPad/iPad mini. 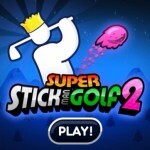 The original, and universal, Super Stickman Golf is also available in the App Store to download for the same $2.99.